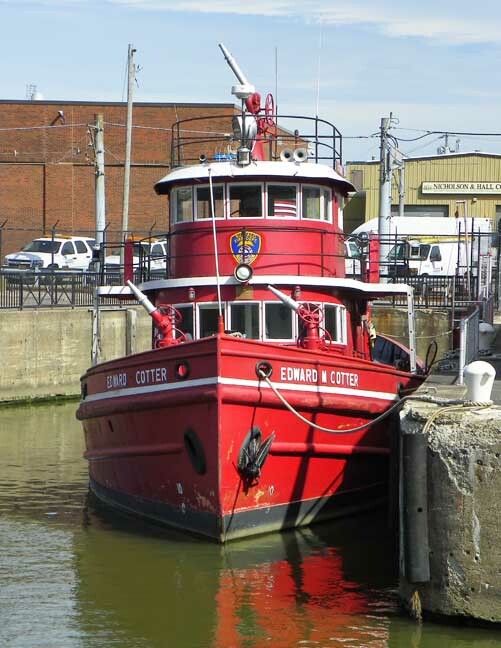 Engine 20 of the Buffalo Fire Department is the fireboat Edward M. Cotter. 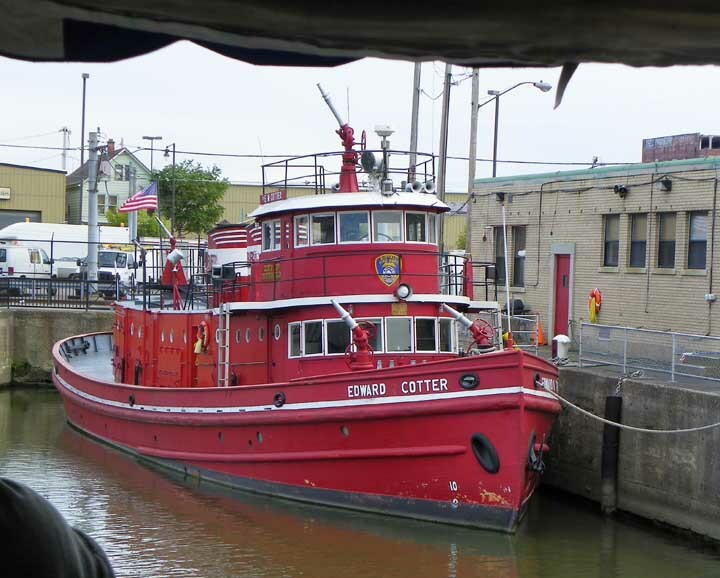 The Cotter is named for a long-time firefighters' union president and sits in a slip under the Michigan Ave. Bridge. 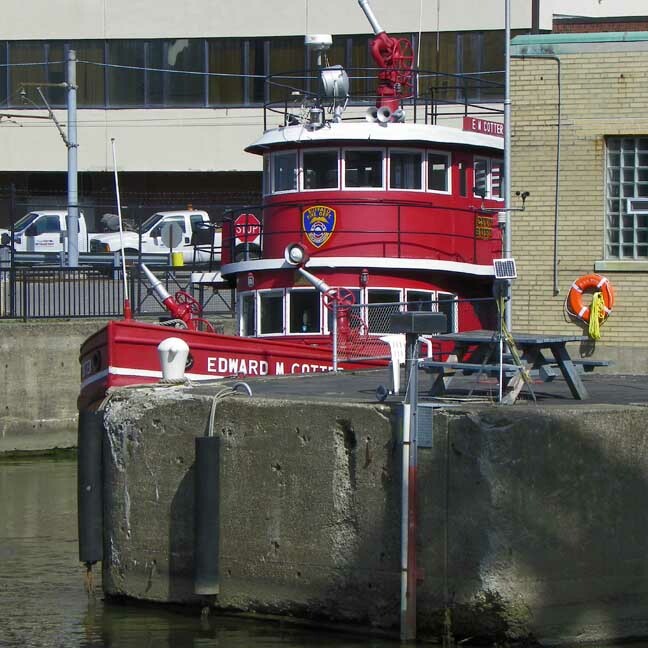 Launched in 1900 from Elizabeth, New Jersey, the fireboat is the only firefighting apparatus that can reach much of Buffalo's waterfront. 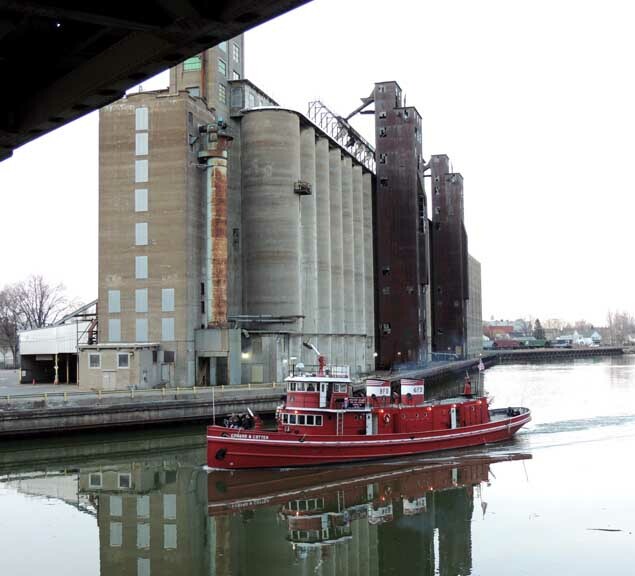 While it is the slowest moving piece of equipment in the Buffalo Fire Department (11 1/2 m.p.h. 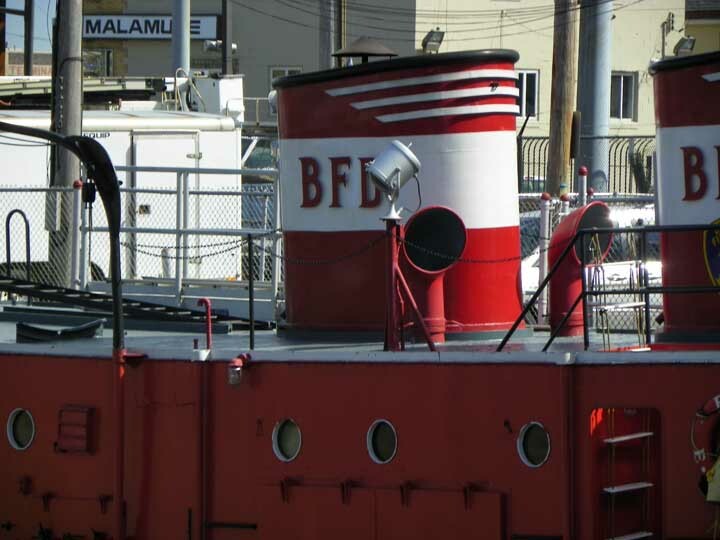 ), it can pump 15,000 gallons of water per minute, 10 times the capacity of an average fire truck. The Cotter could fill an average backyard pool in 42 seconds! 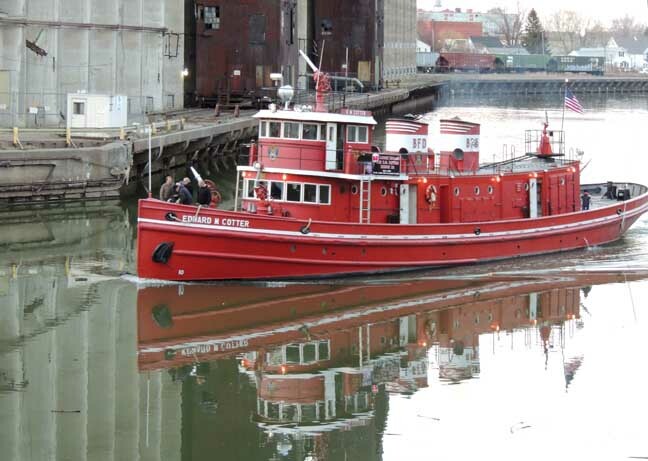 The bright red 118 foot boat was nearly destroyed in 1928 when an oil barge and oil tanker caught fire and severely damaged the fireboat., which was docked at a wharf alongside the river, and killed its engineer. 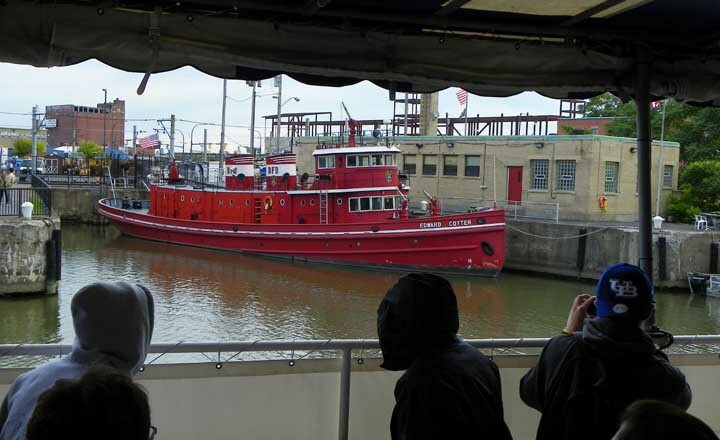 The boat was promptly rebuilt, and the coal-fired steam engines were converted to oil at that time. 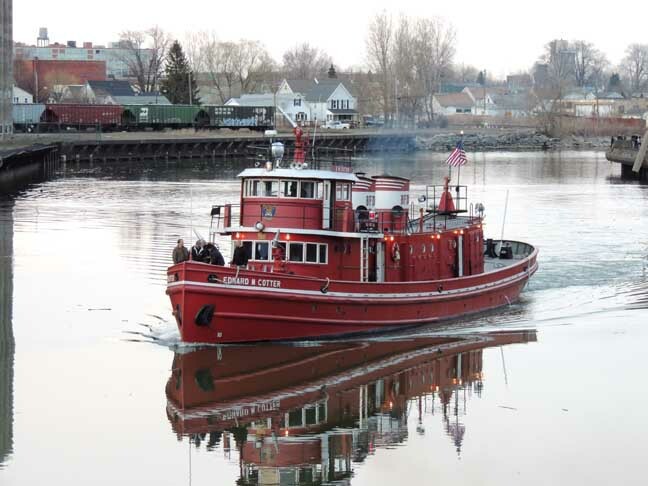 In 1953, the boat underwent another overhaul and its engines were converted from oil to diesel. 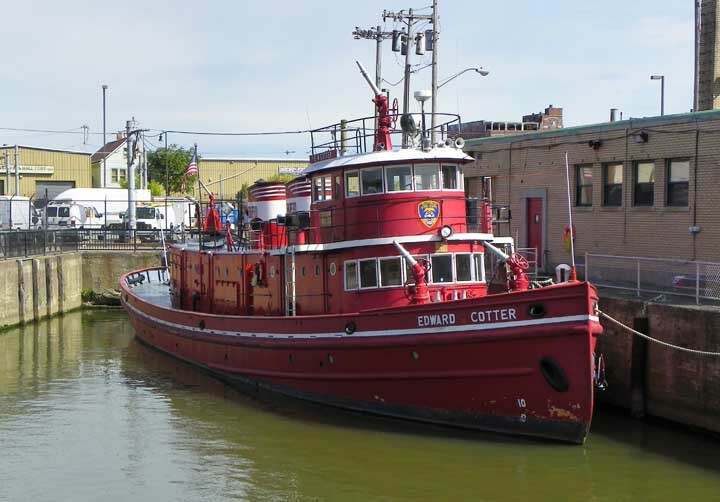 When not fighting fires during the winter months, the Edward M. Cotter works as as an icebreaker on the Buffalo River. This designation is the highest a humanly made structure, a significant place, or an archeological site can achieve in the United States. It is a recognition and honor that makes the destruction of the landmark most unlikely and at the same time opens possibilities of Federal grants.